I would love to come to speak to your women’s group, moms club, organization or parish group! I enjoy leading retreats, presenting at conferences, giving talks especially on practical spirituality for busy people. Contact me at emjaminet@gmail.com for more information or use my contact page, or visit my up to date list of events and endorsements by clicking here. 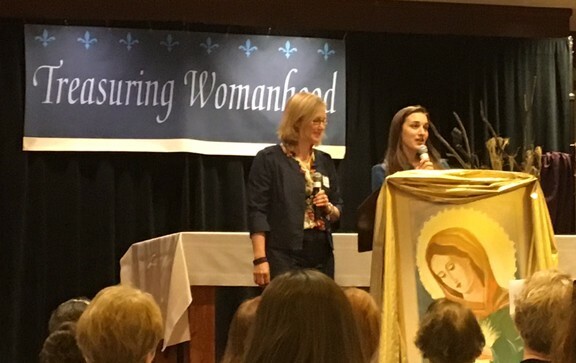 This past year I spoke at National Women’s Conferences, at Legatus in Columbus, OH, Mom’s Groups, Day of Reflections for Parishes and was the keynote at the Sacred Heart Congress. Below you can get a better idea of who I am and how I can better serve you! Deed, Word, and Prayer: Making the Works of Mercy Come Alive! The Sacred Heart Devotion and How to Live It Out In Your LIfe! How to Be a Luminous Light in a Dark World – Looking Back to the First Century Christians for Inspiration! How to Live in the World, But Not Be of The World – Seeking a balance! How to See Christ in Meaningful Moments Throughout Your Busy Day! Motherhood Matters! How to reignite your love for your vocation! It was so awesome to be a Retreat Leader with My Brother, Fr. Jonathan Wilson: We are happy to come to your parish for a one-day women’s retreat for women of the parish or Christian/ Catholic leaders in your community to discuss: Living a 24/HourSpiritualityitualit, not on spiritual crumbs. This event can include, Holy Hour, Adoration, Talks, Lunch, Discussion and be catered to your specific needs. My goal is always to present presentations that are engaging, insightful, Catholic, practical, fun and unique! A compilation book coming out with the Marian Fathers, October 2019 on Our Friend Faustina: LIfe LEssons in Divine Mercy. Each day I thank God for my husband of twenty years and my seven children ranging from 19 to three-years-old! I am the Media and Evangelization Coordinator for the Sacred Heart Network including the Chapters of Detroit, MI, and Columbus, OH. This job includes promoting this ministry on the radio, during retreats, podcasts, social media, written articles, blogs and networking among other ministries for better exposure to the community at large. I am a monthly contributor to the John Harper Morning Air Program on Relevant Radio: 2nd Monday of the Month at 8:30 a.m. I Provide Daily Reflections called A Mother’s Moment, available to be syndicated by St. Gabriel Catholic Radio Station in Oh. click here to contact the station if you are interested in learning more! I am a Catholic Mom Contributor www.catholicmom.com. Check out my articles here. I am a hirable consultant- I focus on helping families, organizations, and individuals meet their goals and do PR work. I am a co-founder of Divine Mercy for Mom. 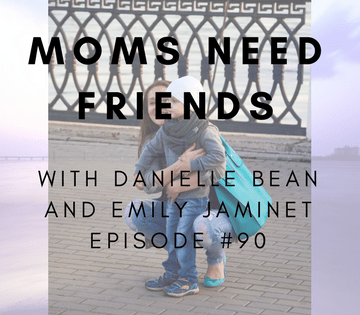 I am active on the following social media platforms: twitter: emilyjaminet, Instagram _emilyjamient, and facebook at amothersmoment and divinemercyformoms, thefriendshipprojectbook and I also am one of the administrators for a number of Facebook groups! My family, my greatest blessing! The Catholic Register- January 20, 2019. My oldest child and my youngest! July 21, 2018- Petoskey Mi. Women’s Retreat at the Marian Retreat Center. August 30, 2018- Resurrection Parish, New Albany, OH. Young Adults Group. September 19, 2018– Keynote Speaker at the St. Bridget Women’s Club Kick-Off Event! October 11-Martha Giving Circle, Columbus, OH. November 2018- Legatus Columbus, OH Chapter. NOT UP TO DATE- I AM HAPPY TO SEND YOU SAMPLES! VISIT www.divinemercyformoms.com or www.Ave Maria Press for a complete list and endorsements and Press Kit for both books! “Michele and Emily were the retreat masters at the 10th annual St. John Neumann Women’s Retreat. Click Here To learn more about Friendship by Candlelight Dinners. Relevant Radio, An introduction to the Friendship Project, May 4, 2017. Interview starts about 27 minutes into the show. May 20, 2016, Skype with Allison Gingras. I am so excited to speak to Allison about Divine Mercy and Motherhood! 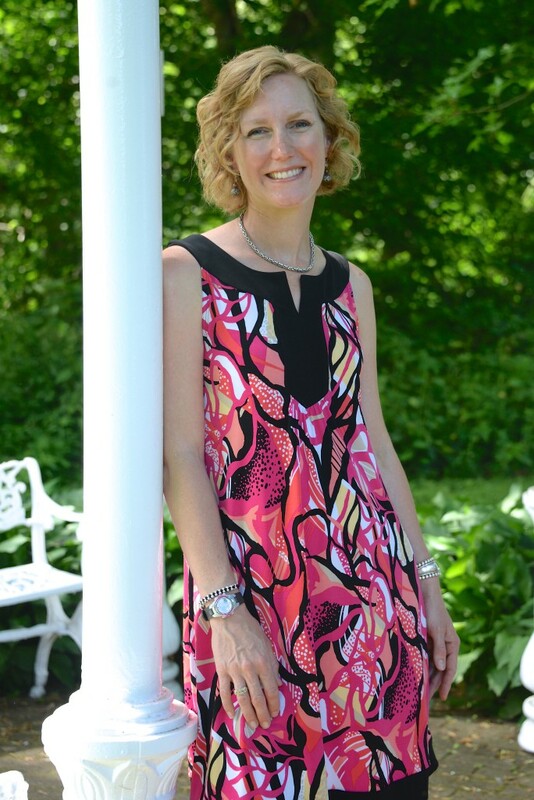 The Jennifer Fulwider Show: I was happy to be a guest on her show discussing motherhood and Divine Mercy. Feb. 9 Catholic Mom Hangout @www.catholicmom.com. Join me and Michele for a live podcast talking about the works of mercy! Feb. 2: St Bridget Mom’s Group, Columbus, OH: St Faustina and the Works of Mercy at 9:00 am. Feb. 15: Saint Gabriel Book Signing: Divine Mercy for Moms Book Signing at St. Gabriel Catholic Radio. 2-5 p.m. Join Michele and I as we are signing books and discussing how to maximize your Lent! Feb. 29: Spirit Morning Program: 7:35 a.m. Divine Mercy for Moms will be discussing “Mercy Monday” and how to live out the Corporal and Spiritual Works of Mercy! Spirituls Santus Academy, Ann Arbor: Divine Mercy for Moms Night Out. : Mercy Unwapped: Divine Trust When it Counts.. I had a wonderful time sharing my powerful story of when Christ taught me a lesson about Divine Trust I will never forget. Spirit Morning Radio- Oct. 16th, 2017 The Friendship Project A Discussion About Friendship, click here to listen! Oct. 23, 2017, Jump Starting Your Commitment to Daily Rosary for On Relevant Radio. Oct. 28, 2017, Interview with Sister Maria Pappas. XM Radio, The Catholic Channel. Dec. 11, 2017- Finding Christ During Advent. Relevant Radio. St. Catherine Catholic Church: Mom’s Group, St. Micheal Catholic Church, Columbus Oh, St. Bridget Catholic Chruch Columbus OH, St. Joan of Arc, Blessed Sacrament refer to ww.divinemercyformoms.com for updated speaking lists. Zanesville Catholic Women’s Conference -This conference focused on the “Fruitful Vine”. Delivered an hour-long talk focused on “Being a Luminous Light in a Dark World” focusing on the effect of First Century Christian women and how we too can impact a pagan world and attain the hope to transform a society through following Christ.